Baltimore, MD (June 6, 2013) – Otakon 20 will feature the artwork of Nobuhiro Watsuki in an exhibit of original Rurouni Kenshin artwork to be curated by his wife and novelist Kaoru Kurosaki. Baltimore, MD (June 4, 2013) – Otakon is pleased to welcome back content media producer and author Takamasa Sakurai. Sakurai last appeared at Otakon in 2011. Baltimore, MD (May 29, 2013) – Otakorp will be hosting the third annual Matsuri on Thursday August 8th at West Shore Park by the Inner Harbor in Baltimore. Baltimore, MD (May 22, 2013) – Otakon is pleased to announce the first time US convention appearances of animators and character designers Shingo Adachi and Tetsuya Kawakami. Their most recent notable work is on Sword Art Online. 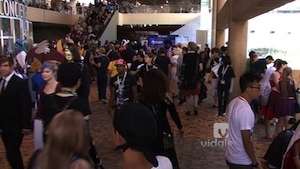 Louis, Jeff, and Katie sum up their experience of the nineteenth Otakon in Baltimore, MD. 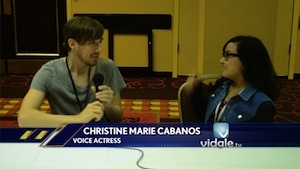 Louis sits down with Otakon 2012 voice actor guest Christine Marie Cabanos . 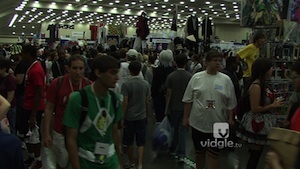 It’s the third and final day of Otakon 2012. Jeff, Louis and Katie head out to the con floor to see how the attendees enjoyed the nineteenth Otakon in Baltimore, MD. It’s time for Louis, Katie, and Jeff to head out and explore the biggest day of any Otakon weekend, Saturday. The reporters will talk to attendees to see how their experience of the nineteenth Otakon is going.